This event is free for the unemployed. Please contact us in store to reserve a place. 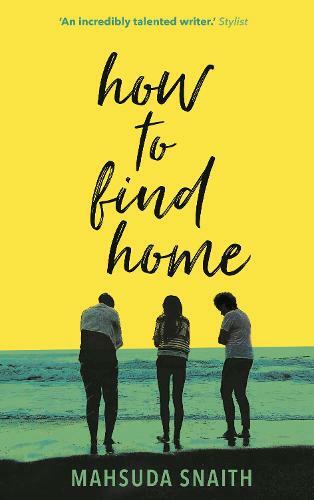 We are very proud to welcome back Mahsuda Snaith for a talk about her new book, 'How To Find A Home' - especially relevant and timely for us, as it deals with homelessness in Nottingham. Join us from a thought-provoking evening of readings, a Q&A and book signing. Molly has lived on the streets for nearly a decade. She has close friends but spends most of her nights sleeping rough in dangerous places. So when a new acquaintance invites her on a journey across the country, she decides to go along. He is searching for treasure while she is searching for hope. At every stop on their unusual quest, Molly senses something close behind her: the footsteps of an old enemy and the memories of a life she has tried to erase. And yet she must find the courage to continue if she's ever going to discover a place that really feels like home. A vibrant, invigorating, and affecting novel and the inspiring portrait of a young homeless woman from Observer New Face of Fiction Mahsuda Snaith.